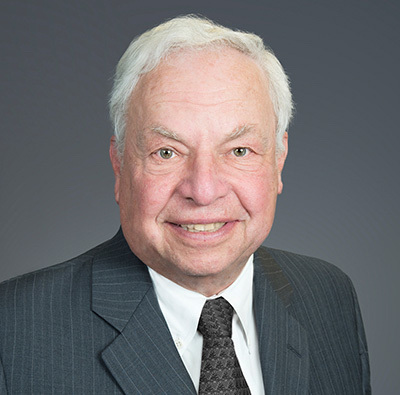 John has been a member of the Connecticut bar for 50 years and has an extensive practice specializing in employee benefits. Besides being an attorney, he is an actuary. When the Employee Retirement Income Security Act was passed in 1974 he was director of the Connecticut Commission on Retirement Funds, and, as such, worked closely with Congressional staff in designing ERISA and testified on behalf of the State of Connecticut during the Congressional hearings. John was a principal of Copelon, Schiff and Zangari, a Connecticut law firm with multiple offices throughout Connecticut, and was in charge of its ERISA practice. He left that firm in 1987 to become a principal (voting shareholder) of Towers, Perrin, an employee benefit and actuarial consulting firm (now Willis Towers Watson) where he was in the Technical Services department in charge of the International benefits and Government Relations function. As such he consulted with almost every member of the Fortune 500 companies. He retired from Towers in 2001 and has been consulting on his own continuously since then. He joined Brody and Associates, LLC in 2010. Member of the New York National Guard (69th infantry) and then the Connecticut National Guard, from 1963-1969, serving weekends and evenings while in law school and afterwards. John has published numerous articles on employee benefits, including authoring three Tax Management Portfolios. He has authored book chapters for such publishers as the Bureau of National Affairs (BNA). He was the editor and co-author of a book on downsizing for the Japanese Ministry of Trade, which was published in Japanese only. He has authored over 20 articles on employee benefits for various professional publications. He has been quoted on ERISA issues in Forbes, Business Week, Medical Economics, New York Times, Wall Street Journal, Business Insurance, and others. John has testified before Congress or in hearings before the Department of Labor or the Internal Revenue Service on employee benefit issues on a number of occasions. Chairman of the Board, The Mead School, Stamford Connecticut, a school offering alternative education (1996-99). Chairman of the board of the Mead School Foundation (its endowment fund) (1999-present).